Missed payments can lower your score.Did you know that if you miss a payment on your credit card, car note, or student loans your credit score can be negatively affected? Payment history is one of the major components of your credit score. When you pay your bills on time each month, your credit score will gradually start to increase. If you miss payments or your bill is sent to a collections agency, your score will decrease. Keeping a high credit card balance lowers your score. Believe it or not, carrying a high credit card balance month to month can harm your credit score. Credit utilization is the percent of your credit limit that you use each month, and your credit utilization ratio is a key component of your credit score. A good rule of thumb is to keep your credit card balance under 30 percent of your overall credit card limit. For example, if you have two credit cards that each have a limit of $500, your total available credit is $1,000. In this instance, you will want to keep your balance below $300, or 30 percent, of your total limit. Checking your credit report will not change your score. Annual check-ups on your credit reports will make sure they are error-free and won’t impact your credit score. This can be done for free each year at www.annualcreditreport.com or by calling 800-322-8228. In this workshop, we’ll discuss financial goal setting, how to develop a budget (spending plan), handle credit, and deal with debt. Student loans will be included in this discussion. Is Retirement Among Your Plans for the Future? To register for one or both of these programs please call: 203-239-5803. Financial Literacy Month and Money Smart Week! The month of April is National Financial Literacy Month. 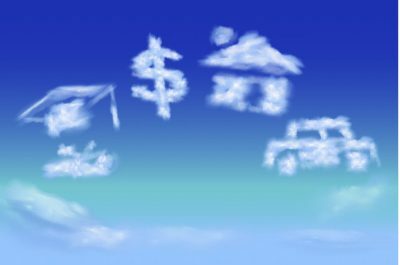 The week of April 21 through 28th is also Money Smart Week. Sign up for one of these financial education sessions. Do you want to improve your financial future? One way to get started is by participating in the Financial Fitness Checkup. This workshop will help you review your current status and identify actions you can take to improve your financial situation. Participants will have an opportunity to take a quiz about their current financial practices in areas such as general money management. saving, credit, debt, and other topics. (Individual results do not need to be shared with anyone.) We will review the questions and discuss why they are important as well as potential steps one could take to improve in each area. A resource list will also be shared. This workshop is provided by the UConn Extension Financial Education Program. Advance registration is required: Register online at http://s.uconn.edu/45i+ or call 203.272.2245, ext. 4. Contact: bbasel@cheshirelibrary.org. When it comes to spring cleaning, you probably haul the junk out of your garage, scrub your fridge, and wash the rugs and drapes. But don’t forget about your personal finances. Just after tax season is the perfect time to perform an annual evaluation and tidying up of your budget, bank accounts, debts, and investments. This workshop is provided by UConn Extension Financial Education Program. Advance registration is highly recommended. Call the Information Desk at 860.444.5805, X2. Across the country, February 26th through March 3rd will be celebrated as America Saves Week 2018. 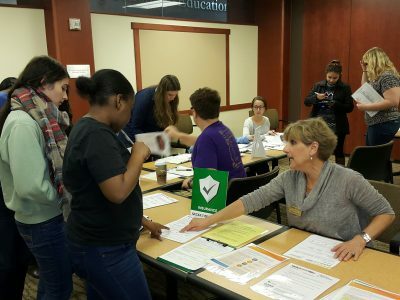 It’s a special opportunity for government and non-profit agencies, universities and high schools, financial institutions, and others to encourage Americans to assess their saving status and take action to save for their goals. This social marketing campaign is managed nationally by the Consumer Federation of America. Cooperative Extension has been involved in the campaign since its early beginnings in 2007. UConn Extension coordinates the Connecticut Saves Campaign with the support of several partners such as the Connecticut Department of Labor; the Connecticut Department of Banking; Connecticut State Library; People’s Bank; Hartford Job Corps Academy; HRA of New Britain, Inc.; Connecticut Association for Human Services; Better Business Bureau Serving Connecticut; Chelsea Groton Bank; and others. This year, the Connecticut Saves Campaign will kick-off with a twitter chat on Thursday, February 22nd at Noon. 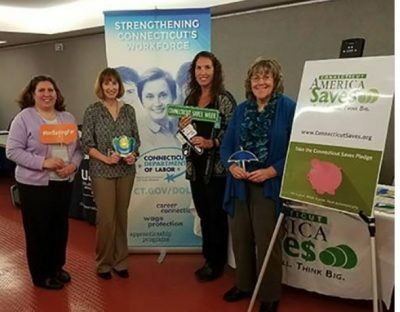 During Connecticut Saves Week, “Take Financial Action: Saving Money and Dealing with Debt” workshops will be held at America Job Centers in Hamden, Bridgeport, and Hartford. These workshops provided by UConn Extension and the Connecticut Department of Banking are free and open to the public, but advance registration is required. The Connecticut Department of Banking is hosting a Financial Education Expo at the Legislative Office Building in Hartford on Wednesday, February 28th from 10 am until 1 pm and the public is invited to attend. If you would like to arrange for a Connecticut Saves Campaign workshop or event for your organization, visit www.ConnecticutSaves.org for more information. Here is a media release from the Connecticut Department of Labor about upcoming workshops for Connecticut Saves Week. February 8, 2018 – In recognition of Connecticut Saves Week, a special workshop offered at four of the state’s American Job Centers will focus on the importance of saving money, strategies to reach career and financial goals, and understanding credit reports. 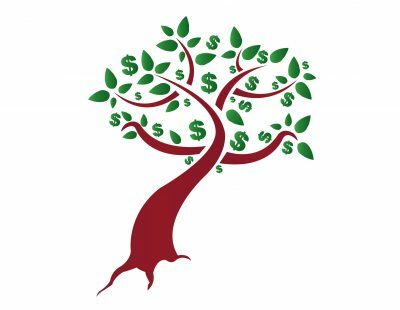 Attendees will learn about determining their family financial priorities, practical ways to reduce expenses, strategies for saving, and tips for staying motivated through an interactive session provided by Faye Griffiths-Smith, Family Economics and Resource Management Educator with UConn Extension. Kathleen Titsworth, Outreach Coordinator with the Connecticut Department of Banking, will explain what is in a credit report, and how to correct any errors that might negatively affect your credit. For more information about the Connecticut Saves campaign contact Faye Griffiths-Smith, Connecticut Saves campaign coordinator at faye.griffiths-smith@uconn.edu or 203.407.3160. As part of the campaign, people will be encouraged to take the Connecticut Saves online pledge and commit to saving regularly for a personal or family goal. More information about the campaign and special events can be found by visiting www.connecticutsaves.org. The Connecticut Saves Week campaign is coordinated by UConn Extension and partners include the Connecticut Department of Banking; the Connecticut Department of Labor; Connecticut State Library; Hartford Job Corps Academy; People’s United Bank; Human Resources Agency of New Britain, Inc.; Connecticut Association for Human Services; the Better Business Bureau Servicing Connecticut; Chelsea Groton Bank; Community Renewal Team; and others. Connecticut households may face a variety of financial challenges. 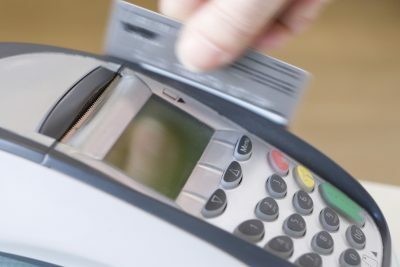 Based on data from the FINRA Investor Education Foundation’s 2015 Financial Capability Study, 53% of Connecticut household found it somewhat or very difficult to make ends meet, 52% did not save money, and 31% paid only the minimum on their credit cards. 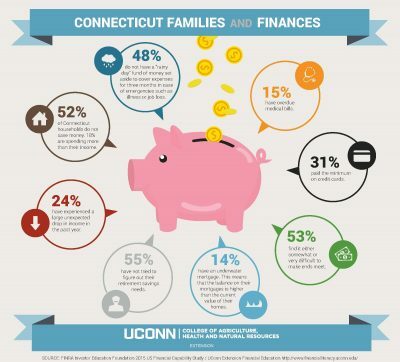 See the Connecticut Families and Finances infographic here for more information. Data source: FINRA Investor Education Foundation’s 2015 Financial Capability Study.